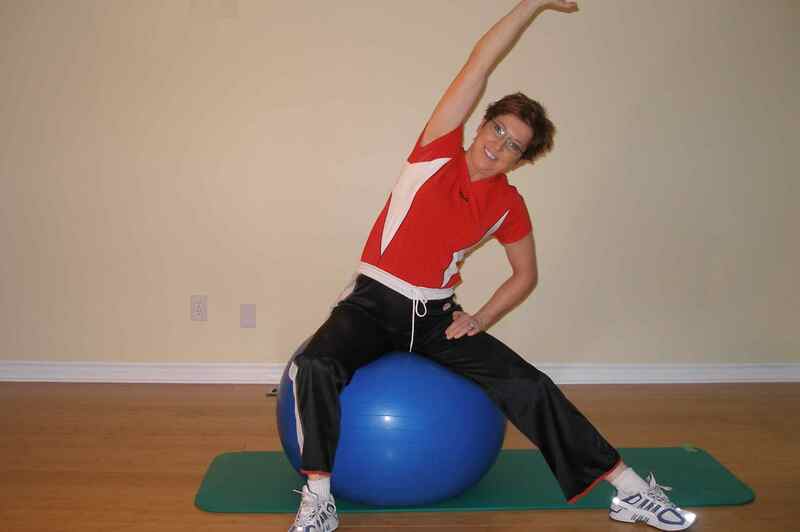 By incorporating exercise ball exercises for golf into your routine you can enhance not only your core strength and stability, but also balance, coordination and body awareness, which are all very important components of an optimal golf swing. 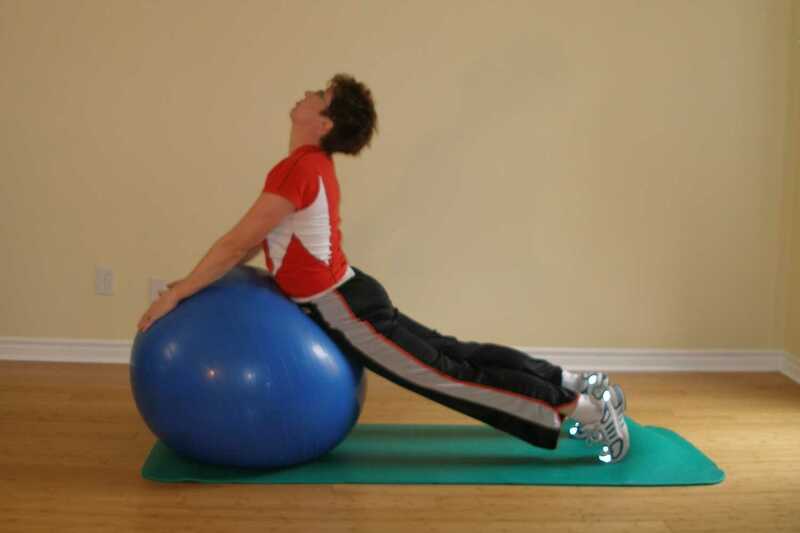 Since Balance is also key for weight shifting during your golf swing, these great golf exercises with the ball encourage you to use your balance to maintain an upright position. 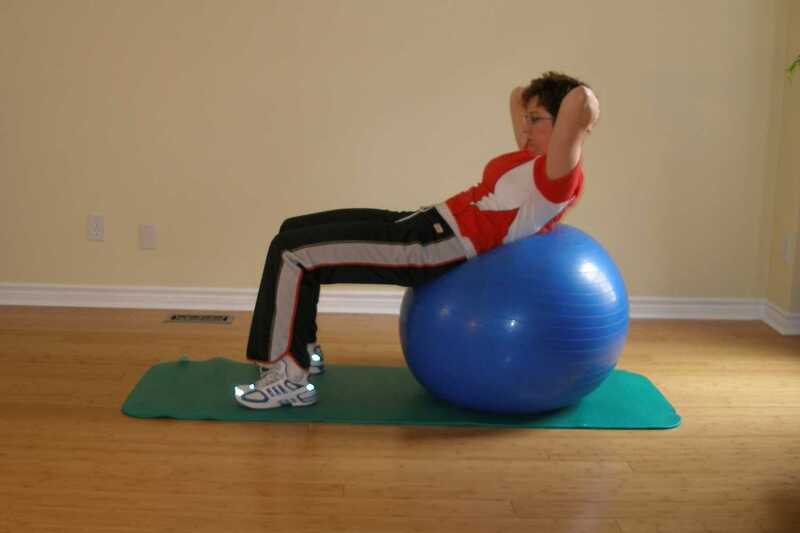 Again, you are strengthening your postural muscles (back, stomach, hips) as your muscles isometrically contract to maintain your balance and upright posture on the ball. By definition "POWER = FORCE X VELOCITY"
We want to create the greatest amount of force (torque) in the shortest period of time. To achieve increased power we need to increase the force produced throughout the down swing which comes from your core (mainly abdominals). 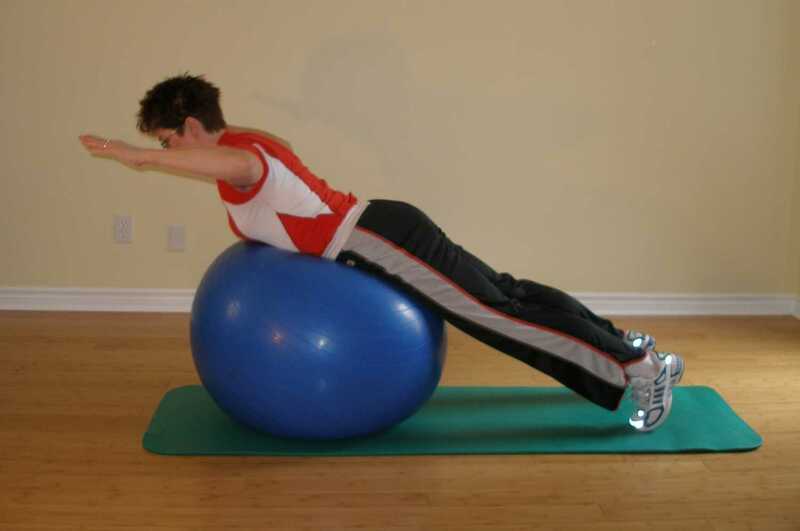 A well-developed core allows for improved force output and increased neuromuscular efficiency. Power is also dependent on the velocity of your swing as it hits the ball. The range of motion in your trunk directly correlates to the ability to generate club head speed. The golf club has a limited amount of time to accelerate during your down swing to achieve its maximum velocity at contact. By improving your flexibility, the degree of trunk rotation relative to your hips, hence, the distance of the upswing, you likewise increase the distance that the club has a chance to accelerate prior to contact with the ball. 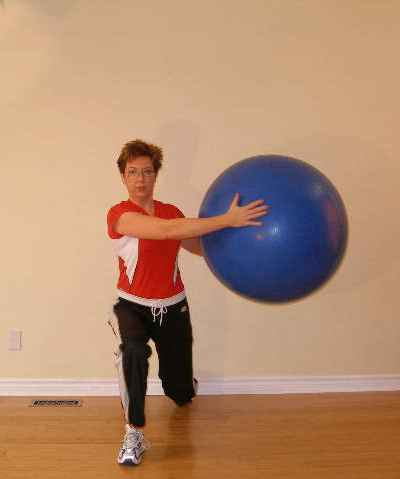 Both of these variables are affected through training with exercise ball exercises for golf. 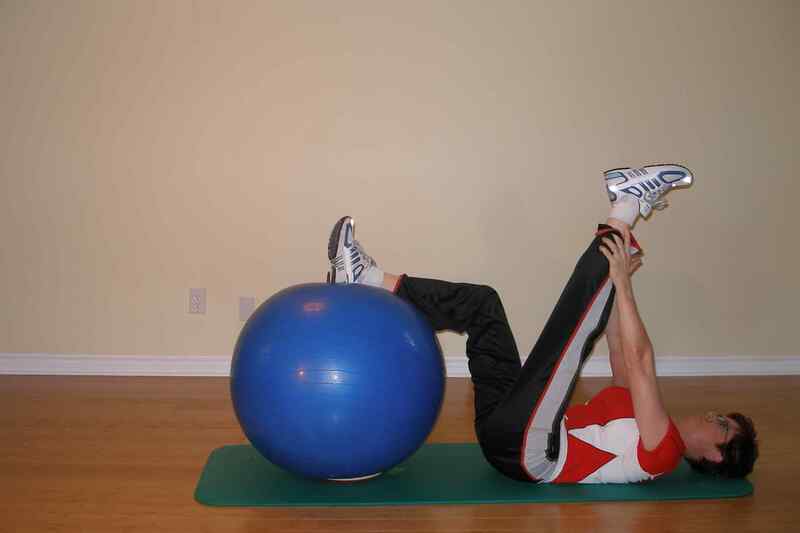 Any core exercise for golf you do needs to incorporate rotational strength and flexibility. Doing great golf exercises that closely mimic your golf swing, will not only improve the strength and flexibility of your golf swing quickly, but reinforce your swing technique off the course. This double benefit will transform your game. In addition to the abdominals (rectus abdominus, external/internal obliques and transversus abdominus), the core for golf also includes the hip musculature (psoas, gluteii, and adductors), lumbar spine musculature (multifidus, interspinales, intertransversarii, rotatores, quadratus lumborum, latissimus dorsi and superficial/deep erector spinae), thoracic spine musculature (transversospinales, lower/middle trapezii, rhomboids and serratus anterior/posterior), and cervical spine musculature (paraspinals, scalenes, sternocleidomastoid, longus coli/capitus and upper trapezius). For all of these muscles to function together optimally a high degree of neuromuscular efficiency is required. As a physical therapist my special interest is in treating and preventing injuries. The golf swing places a tremendous amount of stress on the lower back. The amount of stress depends on the swing technique, the speed, angle of the swing plane, amount of hip slide, etc. Over time the repetitive nature of the golf swing can result in fatigue, microtrauma, and ultimately muscle imbalances. A recreational golfer is less likely to have efficient swing mechanics. To compensate , the golfer will attempt to generate extra force from muscles such as the rotator cuff, hips, etc. Research shows that amateurs may develop up to 80 percent more peak torque in their lumbar spine than a professional, and muscles required to generate excessive amounts of force are at a much higher risk of overuse injury. Professional golfers can generate 34 percent more club head speed than the amateur, yet amateurs are producing spinal forces 50 to 80 percent higher than the professional. Hence, inefficient mechanics cause the muscles to work harder to generate force in the golf swing. Over time, these muscles become fatigued from the repetitive trauma caused by inefficient mechanics and increases the possibility of an injury to the lumbar spine. How can the amateur counteract such a situation? The golfer needs to develop an efficient golf swing. This can only be done through proper instruction from a golf pro, practice and great golf exercises. Find a golf pro in your area. 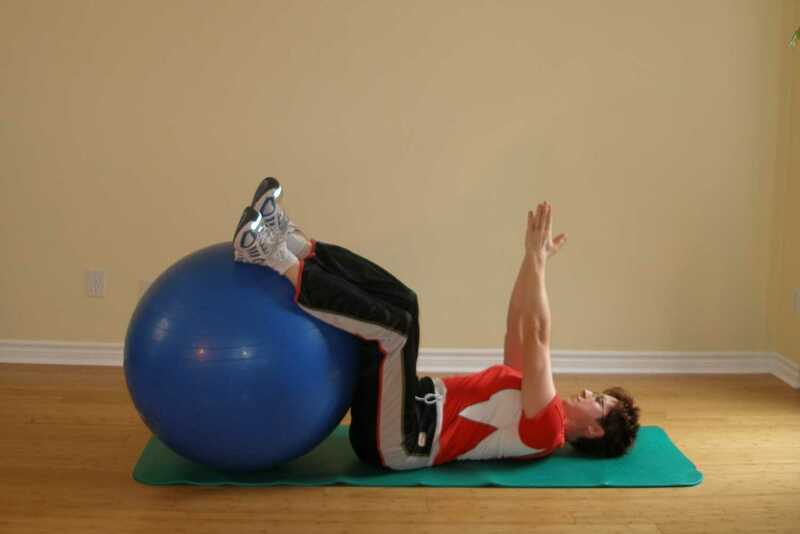 The best golf workout includes technical training, strength and endurance training, core stability training with exercise ball exercises for golf (also known as the swiss ball, ab ball, balance ball, fit ball, gymnic ball, fitness ball, therapy ball, physio ball, etc.) as well as golf exercises as prescribed by your golf pro.